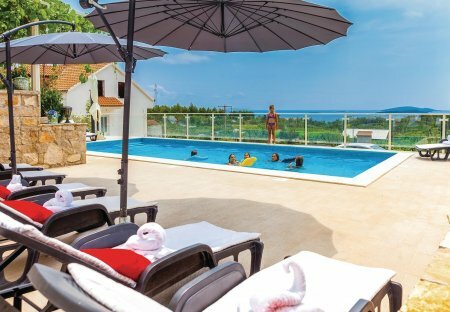 Rent villas and apartments in Stanković, Croatia with swimming pools. This simply furnished holiday apartments are located in an apartment building, where each consists of a bedroom, a living and dining area with kitchen and a bathroom. This holiday house extends over three floors and offers the necessary comfort for a larger family or group of friends. The floors are connected by internal stairs. 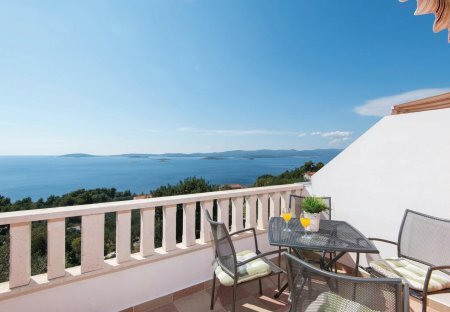 Wonderful, renovated and spacious stone house with pool is located in the village of Mokalo, on the Pelješac peninsula. The stylishly furnished holiday apartment is located on the first floor of an apartment house, in the small village Mokalo, which is about three kilometers away from the town of Orebić. This tastefully furnished holiday apartment is located on the second floor of a family house, overlooking the place Orebić. This tastefully furnished holiday apartment is located on the first floor of a family house, overlooking the place Orebić.